This post is about how to get started writing reviews and how to engage with companies who might want to send you cool stuff to review. How do I get started writing reviews? It’s very easy because all you have to do is start by reviewing things you’re interested in. It’s not like you have to wait for the magic company unicorn to unlock her golden cupboard and shower you with gifts. Whether you love video games or history books or fashion or comics – write about the stuff you like, and why you like it. Share your enthusiasms and you will attract readers who share them too. Review the things in your life that you love – or hate. What were your last best gifts or places you visited that you really want to recommend to people? Or what did you get that proved to be disappointing? Think about whatever you’d like to be offered to review and start to review things like that on your blog. How do I make sure that PRs find out about my blog? There are now many websites such as Bloggers Required, Bloggabase and Nuffnang where you can register for a profile and PRs will see it and possibly put you on their mailing lists or send you opportunities. As a kid blogger, if you decide to use these sites then ask your parent to register on your behalf. Update your social media profiles and About Me page regularly as your blog grows. If you’re on Facebook, join at least one Facebook blogger group as bloggers tend to be very generous in discussing PR contacts and passing on opportunities. 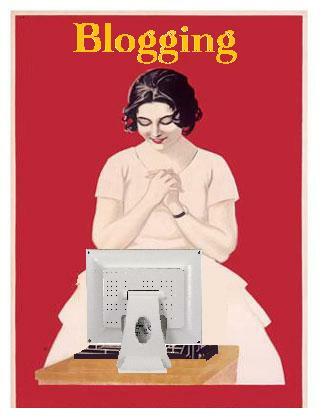 There are multiple Facebook blogger groups so ask your blogpals which ones they recommend. Other than that, keep creating a great blog and the brands will find you. They’re in the business of communication and that’s their job. Just make sure there is a way to contact you on your blog if anyone wants to get in touch (could be a parent’s email address). How can I use Twitter to engage with PRs? First of all, work on increasing your own Twitter network to at least 1000 followers. Then look for PRs to engage with. Go to the Twitter feed of any major blog network in your sector, or of any blogger you know who does regular reviews. Click on the ‘Followers’ tab and look at which PR companies/individuals are following them – this tells you that they are obviously interested in engaging with bloggers. Therefore you can then follow and engage with any of those people who seem relevant to you. It’s very popular right now to put PR Friendly on your Twitter bio but personally I think this is outdated. It’s become over-used to the point of being meaningless, since most blogs engage with PRs in some way. You only have 160 characters to sell yourself on Twitter – find something more unique and memorable for your bio. Well, just because you have a blog it doesn’t automatically entitle you to free stuff. Maybe your blog’s not ready yet. Maybe you’re not active enough on social media for PRs to have heard of you. Maybe your contact details aren’t obvious enough on your site for anyone to contact you (create a gmail address just for your blog if you don’t want to broadcast your usual one). What do I say if I want to email a PR to ask about doing a review? I don’t want to look like a blagger. If you don’t want to come across like a blagger, don’t make your first approach one in which you’re asking for stuff. A more professional approach is to ask if you can go on to their mailing list for news about their client. Then when you receive a press release you can respond to this if it’s of interest (and delete if it’s not). What I tend to say is – I wondered if you’re interested in blog reviews? I’m very polite about it because I realise that not every brand wants to be on a blog. I send a link to any similar posts I’ve written, so the PR can get a sense of how my reviews are presented. So when I was asking to review Iron Man 3 toys, I sent a link to my review of Batman toys etc. How do I know if a brand is interested in working with bloggers? Often you won’t know until you ask. Don’t take it personally if you don’t get a reply. Many companies have links to their press office on the home page of their website. You can also search under “Company name + press release” which should bring up their most recent release which will have contact details on it. Many brands also monitor social media to see who’s talking about them. Mention a brand on Twitter and you may find that they see this and get in touch. Above all, have fun reviewing and sharing your enthusiasms for things you love! identical on thhe way to fin reliable dinar information. If these qualities exists, you’re typically pleased with your experience. can find and provide more exciting Newss too you.